I photographed AnnieGraves Cosplay (on Facebook and Instagram) for the first time at Wizard World Cleveland in 2016 as a stunning Daenerys Targaryen. 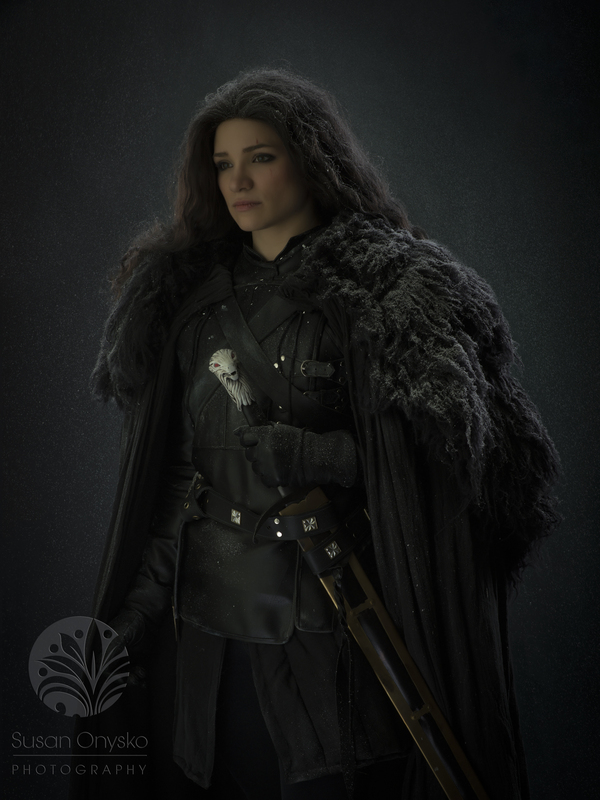 I was thrilled to photograph her almost 3 years later in a Jon Snow Cosplay at my studio. Just as stunning! I love the combination of my new Joel Grimes background and the fake snow that she provided. I have started experimenting with using my Lastolite Hi-Lite Background as my main light. I also used an overhead Chimera lantern here to help light background, hair and snow!